Amblyopia is the medical term for poor vision in an eye that did not develop normally during early childhood. It is commonly referred to as "lazy eye." Amblyopia occurs in 2 or 3 out of 100 people. The best time to treat amblyopia is in infancy or early childhood because after about 9 years of age the visual system is usually fully developed and usually cannot be improved. The three most common causes of amblyopia are strabismus (a misalignment of the eyes), unequal focus or refractive error, and cloudiness in the normally clear eye tissues. Often, it is difficult to recognize amblyopia. A child may not be aware of having one strong eye and one weak eye. In the absence of a misalignment of the eyes or other obvious structural abnormality it can be very difficult for parents to notice that something is wrong.  Using a variety of tests, a pediatric ophthalmologist can determine the visual acuity in each eye and determine if treatment is needed. Sometimes, decreased vision is not due to amblyopia, but rather can be improved by prescribing glasses for a child. In order to treat amblyopia, your pediatric ophthalmologist may recommend one or a combination of patching, special eye drop therapy, and glasses.